Internet Marketing Statistics From HubSpot. VSS is a "Certified HubSpot Partner" and we are offering you these very detailed, internet marketing statistics to help you understand this growing technology and how it's being used by your own target markets. HubSpot complied these internet marketing statistics from a variety of sources, including analysis of their 5,00 business customers, surveys with hundreds of businesses responding, analysis of the data in their free tools like Website Grader, Twitter Grader and Facebook Grader. Each page has a URL to the original source document or article. These charts, graphs and statistics can be extremely helpful as you develop your overall internet marketing strategy. Understanding trends and tendencies that have developed and that are developing online will help you understand where to apply your focus. How to be effective and how to be efficient. 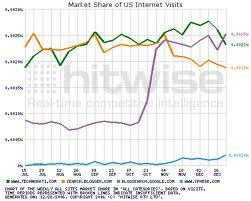 Internet Marketing Statistics: Know The Facts! Internet Marketing Statistics - Know why inbound marketing has become the primary marketing method for growing businesses. “Knowledge is Power.” Never has a statement been so true as with a consistent – and thorough – familiarity with current Internet marketing statistics. Understanding the latest marketing statistics will help you understand why it's so important to create & develop your own inbound marketing strategy. The undeniable potency of an effective Internet marketing strategy is being proven time and again by successful businesses worldwide. When implemented to fullest potential, such methods can create Internet traffic, leads, customers & even turn an unknown company into a household name. But the results of any internet marketing efforts will be drastically diminished if you’re not paying attention (and reacting to) your inbound marketing statistics. Your statistics are the key to determining what does – and doesn’t – work best in your inbound marketing activities. Current internet marketing statistics and how inbound marketing is transforming traditional marketing. Your own web site's statistics in terms of traffic, where that traffic is coming from, leads generated from your traffic and customers converted from these leads. Who is searching for my goods or services? How is my internet target market finding my company? Who are my internet marketing business competitors? Which internet marketing activities are bringing my company the highest ROI? Which internet marketing activities are proving to be ineffective; a drain on my company resources? What valuable resources might my company overlooking? And without answering these questions, how will your business make the necessary adjustments to more effectively focus your internet marketing efforts – and budget – on those strategies that bring the greatest return for your investment (ROI)? Complete comprehension of your internet marketing statistics industry wide, as well as your web site's internet marketing data, (your target market(s), keywords, SEO, blog, social media, conversion rates, etc), is a critical part of your inbound marketing success. If you want your business to grow, you must grow with it. You cannot be inflexible to the ever-changing evolution that is inbound marketing in the 21st century. You must be prepared to adjust according to the fast-paced rate of advances in today’s marketing trends and technologies. When it comes to your inbound marketing statistics, what you don’t know CAN hurt you. Without thorough market analysis and ongoing comparative data, you have no way to measure your marketing successes and failures, nor to adjust accordingly. If you don’t know where you are now, how will you determine where to go from here? There is no getting around it - you must have a clear understanding of your inbound marketing statistical data in order to achieve your company’s goals and overall business objectives. Who is your target market(s). How to make your company visible to those consumers who want to find your products and/or services. Whether you’re giving your desired customers the information and/or services they want and/or need. Which of your promotional ads / materials are bring the most powerful results. What are the weakest links in your internet marketing strategy. What trends are emerging in an ever-changing market. If you don’t have this information, you can’t benefit from it – it’s that simple. Your inbound marketing statistical data is invaluable to your business – don’t dedicate your company’s time, money and energy to a marketing strategy that isn’t backed up by a thorough knowledge of how it’s working (or not working) for you. To get a better understanding of how your inbound marketing can benefit from emerging business trends, download these 2 free Inbound Marketing statistical analysis guides, “Marketing Data: 50+ Charts & Graphs” & "How To Evaluate Your Own Web Site Traffic & Statistics".